Not sure if a paint color is right for your room. Or wonder if creating an accent wall will “liven” up a room? We recommend purchasing a small sample of paint and a piece of poster board. Roll a coat of paint on the white poster board and WA-la, you have a large paint sample to take around the room, to judge both in the morning and the night, and to hold directly up against different materials or furniture inside the room. 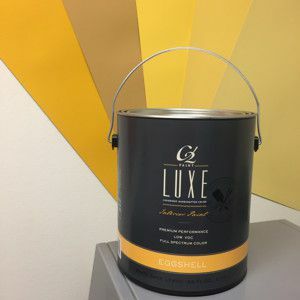 The use of a white poster board will make sure that the color you are painting is a true representation of the actual color; color that is much truer than what you would get by simply rolling a single coat of paint over old walls that might have a dark or bright color on them already. This is the easiest way to make sure that your next paint project will be one that you absolutely love! We hope that you find benefit in this tip on your next paint project. Thanks for reading.